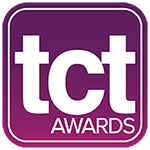 NCC is a unique & inspiring conference venue and we are delighted to be hosting the TCT Awards here. We are located on Junction 6 of the M42, we are also just of the A45 Coventry Road. Simply follow signs to the National Motorcycle Museum on all approaching routes. The closest train station is Birmingham International Station, from there it is just a short 5 minute taxi ride. The closest airport is Birmingham International Airport, we are located just a 5 minute taxi ride from the airport.